There was a documentary years ago titled “Blood and Belonging.” It was an examination of primarily Eastern European ethnic groups, and the power of splinter nationalities. According to the film these groups, from Bosnians to Ukrainians hold their identities above any other affiliation–above any other allegiance. There was some discussion of group history, persecution, and twentieth century experiences from WWI to the present. Now all of these people and their mini-revolutions appear virtuous on the surface, and members of these factions sound as justified as redneck Obama haters after their fourth beer. And there is no doubt that harms and war crimes have been committed against these same minorities. 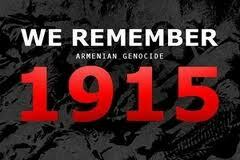 One only has to look to the Armenians during the First World War, or the Kurds under Saddam Hussein. In the recent past the Balkan Wars have provided the most harrowing of modern day slaughters, not to forget Rwanda or other such atrocities. Genocide carried out in the name of freedom fighting. Here’s the problem. These numerous brush fires, these countless struggles are now prosecuted in a much smaller world. A world with heat-seeking missiles, smart bombs, and gulp . . . atomic weapons. Localized grievances can explode, literally, targeting disinterested victims who just happened to fly over a particular airspace. But to these subgroups on the ground, (because they are inherently good) violent ends more than justify the murderous means. Somehow sectarian or religious splintering doesn’t appear too healthy for the rest of us. Suit wearing warlords, gang leaders, thugs, inflaming heavily armed followers simply puts the rest of us in more peril by insuring more violence. President Wilson referred to such strong arm leadership as “criminal.” And I think I’m with Old Woodrow on this one. This entry was posted in Education, history, River of January.